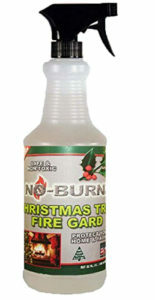 No-Burn Christmas Tree Fire Gard is designed to be used only on live Christmas trees and other live greenery such as wreaths, garlands, and centerpieces. 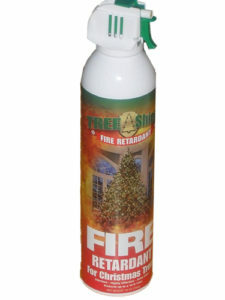 One spray bottle will cover an 8-foot Christmas tree. Although it claims not to harm needle retention, some users experience a significant needle loss. The manufacturer of Tree Shield Fire Retardant for Christmas Trees has had this certified as a fire retardant for live greenery including Christmas trees, garlands, Christmas wreaths and table centerpieces. It is odorless, colorless, and nontoxic. 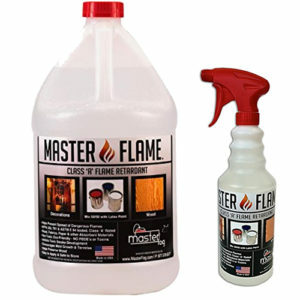 Master Flame Fire Retardant is designed for any absorbent material, but will not work on non-absorbent materials like glass, plastics or Styrofoam. 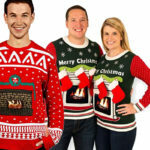 So holiday decorations that are cloth, paper, cardboard, or wood are ideal for this product: stockings, most holiday decorations (except glass or plastic), cardboard boxes including ornament storage boxes, and baskets. It is also appropriate for curtains, upholstery and carpets. To make walls fire resistant, mix Master Flame Fire Retardant with your wall paint. Because it it not specifically designed for live greenery like Christmas trees and mantel garlands, we do not recommend it for those uses. Billed as an eco-friendly, “green” fire retardant, this product is plant-based and biodegradable. It can even be safely applied with children present. Firez Off Fire Retardant works with anything it can soak into: cloth, paper, cardboard, and wood, including live greenery like Christmas trees. 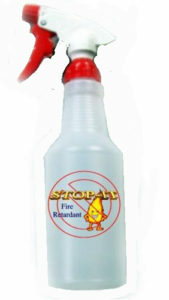 This spray-on fire retardant is for use on both live and artificial Christmas trees. Unlike salt-based fire retardants, it will not dry out your tree. Stop-It Fire Retardant can also be used on other cloth (stockings, silk flowers) and wooden (including baskets) holiday decorations. 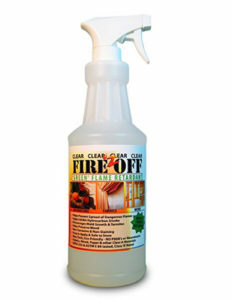 It is odorless, nontoxic, and meets the stringent California State Fire Marshal standards. 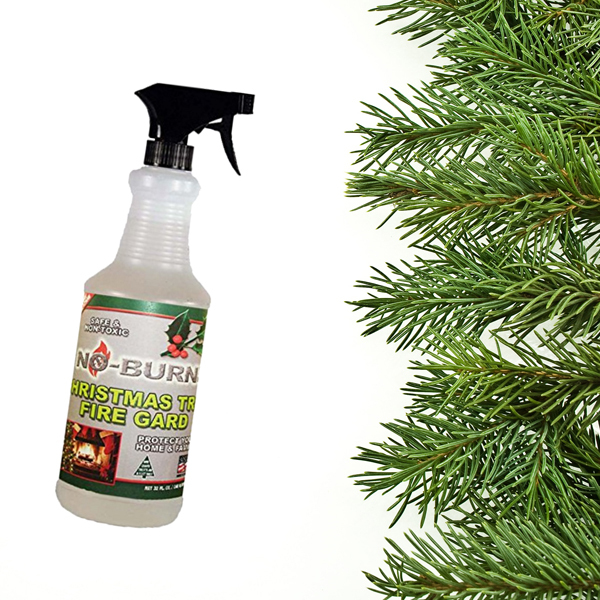 Make your own Christmas tree fire retardant using a product found at your local hardware or nursery. Mix 9 pounds of Ammonium Sulphate and 2 gallons of water in a bucket large enough to hold your fresh Christmas tree. Place the bucket in a dark, unheated space like a garage or shed. Next place your Christmas tree in the bucket and leave it there for 48 hours. 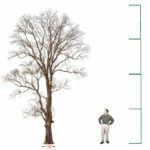 Your tree will absorb the ammonium sulphate, making it fire resistant from the inside out! When you take your Christmas tree inside to decorate, save the remaining water. Store it in an air-tight container, and it can be reused with next year’s Christmas tree. Even if you have sprayed your Christmas tree, fireplace mantel greenery, and Christmas stockings with fire retardants, the contents of your Christmas stockings are not fire proof or fire resistant. 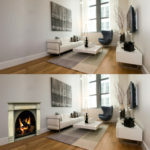 Hang your gift-filled Christmas stockings from the fireplace mantel only when they are empty. See our Christmas Safety Checklist. Last updated by Monte at November 15, 2018 . This is very nice and good one, thanks for sharing.